Again another food post. Oppsie. There's been a very long time since the last time me and them hanged out together. They are my bff during secondary school time, and yeah, three of us are crazy of basketball life. I never forget those crazy basketball memories i had with them. :) This is our first meet up since after form 5. Anyway, Michelle has now left to UK. There are indoor and outdoor dining there. We decided to sit inside cus the light seems to be brighter inside so we could take beautiful pictures. Haha. Anyway outside is having a heavy rain that day. All orders need to be done at the counter and food need to be paid before serving. In order to reserve your own table while ordering, you can place the "occupied" tag on your table so that people would not take your seat. Isn't that sweet? 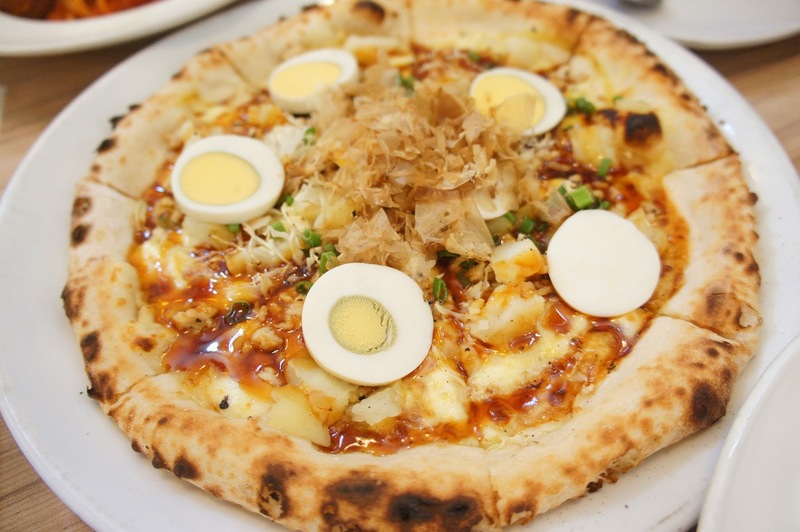 I think the best dish would be the Teriyaki chicken pizza! This is my first time trying such a new combination of teriyaki taste on a pizza.And they match well ! I would highly recommend this if you wanted to try out something fresh and new. 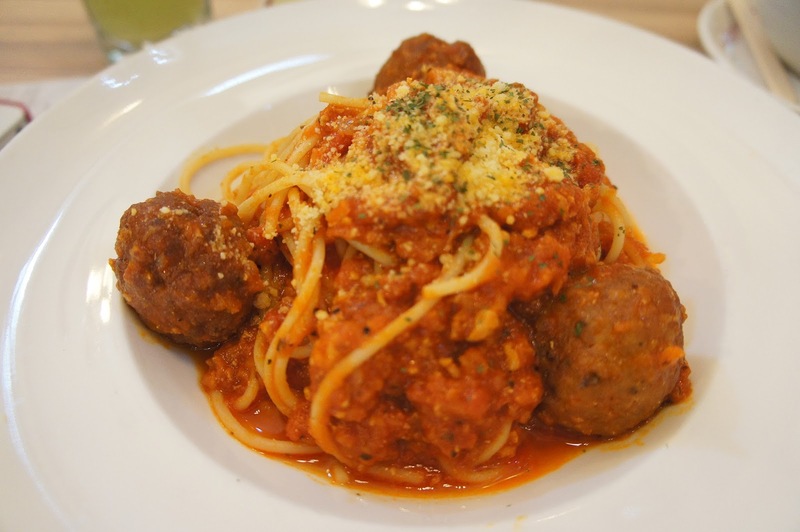 As for the bolognaise, i think the meatball is abit too dry lol. Overall is still not bad. 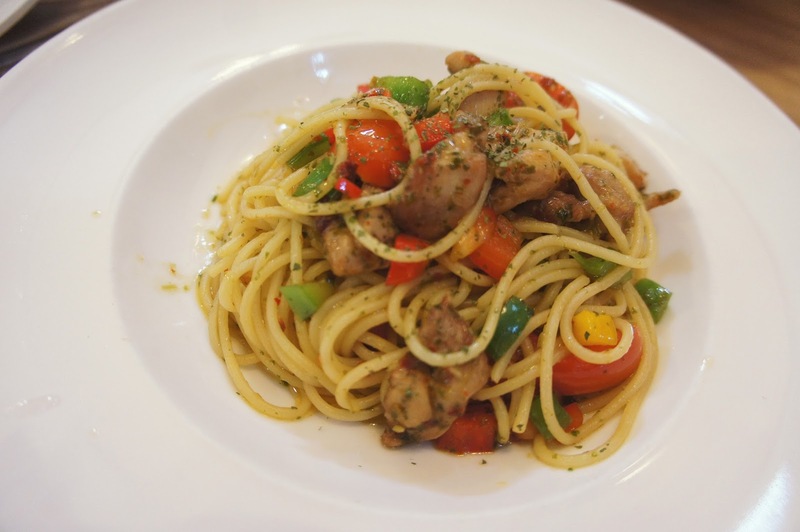 The aglio olio taste awesome too ! Overall i think the environment is great, simply nice and relaxing.It would be an ideal choice to hangout with friends for teatime. I would love to visit there again to try out their pastries and desserts instead! So sorry for the late and short update. Too busy with my uni life now. Will be updates soon!